These flower paper straws will add a beautiful touch of elegance to any wedding reception, birthday party, hen party or baby shower! 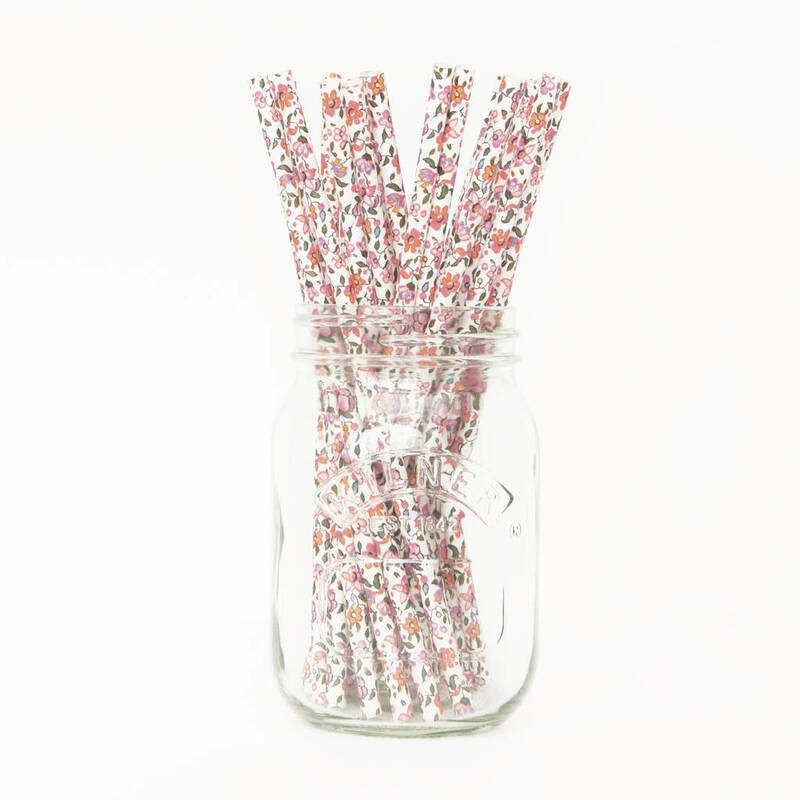 Whether you're planning a tea party style celebration or you're looking for a chic addition to your party supplies, these floral print straws will be the perfect match. You'll surprise your guests with these whimsical straws which are not only fun but are also an eco-friendly alternative to plastic straws! 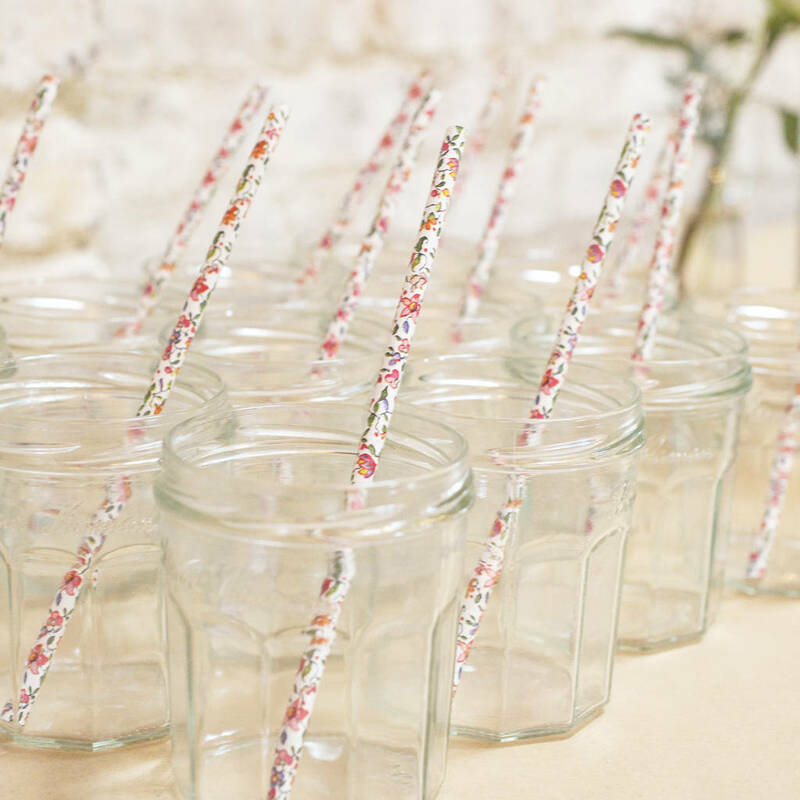 The pink floral pattern on the straws will add a great pop of colour to your drinks! We also stock stripey paper straws and heart print paper straws - see our other items. The straws are made from environmentally friendly paper and are not only biodegradable but also very sturdy. Our straws won’t harm the environment or clutter up landfills. The straws are 0.5cm in diameter and 19.5cm in length.